The Tampa Bay region’s central location within Florida uniquely qualifies the region for enormous growth potential in trade activity serving state, national, and international markets. A combination of population growth in West Central Florida, continued development of the Interstate-4 corridor as a distribution hub, widening of the Panama Canal in 2015, potential for future trade with Cuba, and overall expansion of Latin American and Caribbean markets will undoubtedly spur increased goods movement across the state and in the Tampa Bay region. Florida has the opportunity to emerge as an important trade hub linking the southeastern U.S. with trading partners to the south, west, and east. 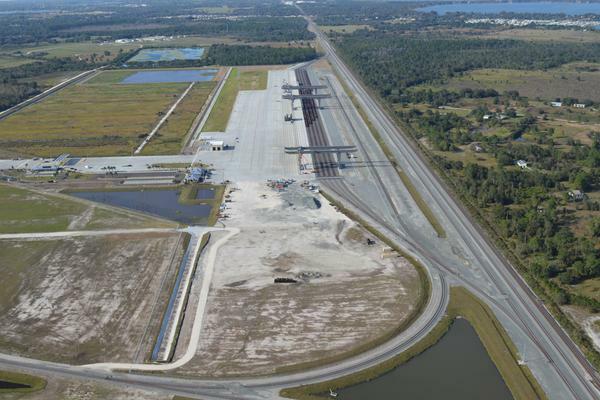 CSX Transportation recently constructed one of Florida’s largest intermodal distribution centers in the Winter Haven area, complementing the many companies with distribution facilities in the I-4 corridor. The CSXT Integrated Logistics Center’s (ILC) location enables it to function as a centralized transportation and logistics hub for CSXT. 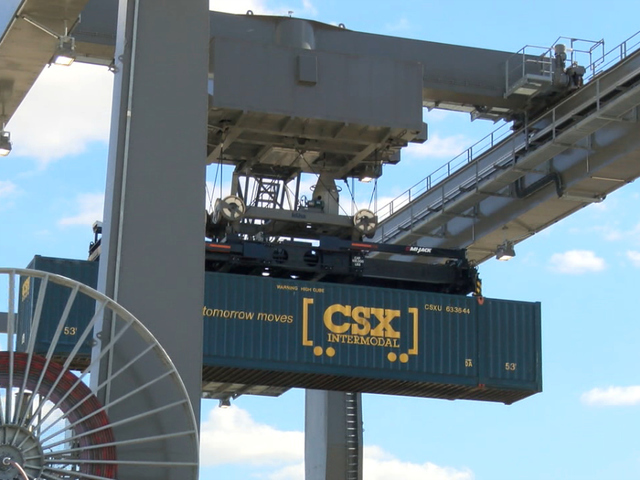 The ILC terminal is the first of its kind in the southeastern United States, handling the transfer of new automobiles as well as containers from railcars to trucks. The contents of the containers are consumer goods such as merchandise, food products, and building materials. Shipments from the ILC are anticipated to be distributed to retailers throughout Florida. The ILC is expected to increase the reliability and efficiency of freight movement, while significantly reducing transport costs. 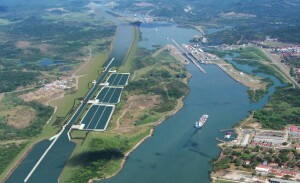 The widening of the Panama Canal, expected to be complete in 2015, will significantly improve shipping times and increase volumes for waterborne cargo between Asia and seaports in the Gulf of Mexico and along the U.S. Eastern Seaboard, continuing and increasing the trend of increased all-water trade between these regions. 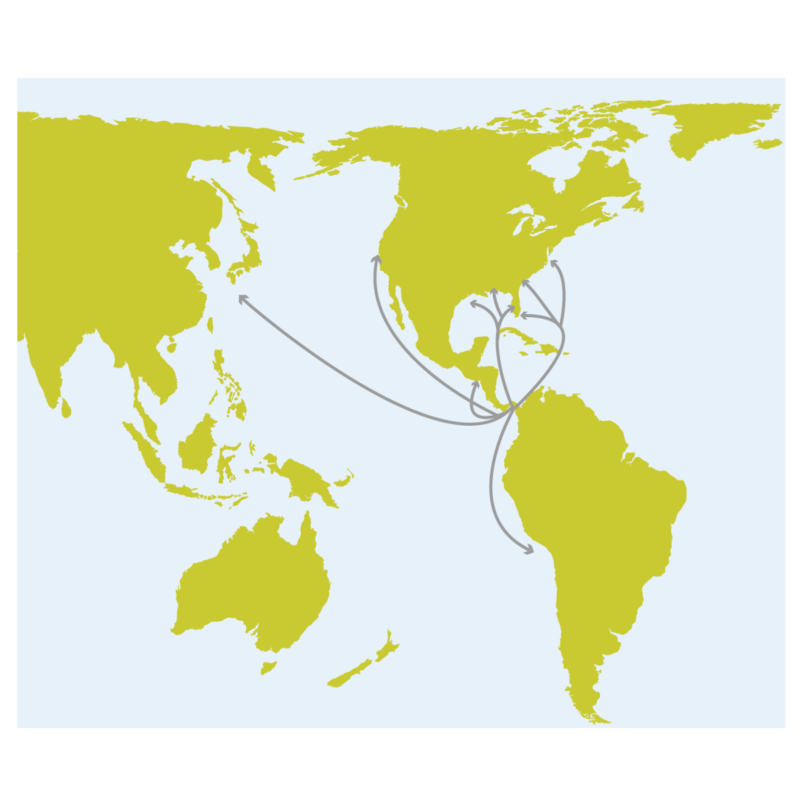 For certain lines of trade/cargoes, the all-water shipping routes offer economic advantages for direct access to the Eastern Seaboard and Gulf Coast regions of the U.S. for imported Asian goods. The comparative advantages of all-water trade routes to Asia are enhanced by rising fuel costs and more environmentally-friendly supply lines. The Panama Canal expansion creates the opportunity for continued growth in container operations as well as general cargo and bulk commodity trade at Port Tampa Bay and Port Manatee. The widened canal will allow more ships to transport cargo through the canal at competitive costs, and the development of hub ports in Panama and the Caribbean capable of handling post-Panamax container vessels will lead to transshipment opportunities for the Tampa Bay region ports. The opening of Cuba for travel and trade with the United States could have a positive impact on the economy of the region. Tourism is now the number one industry in Cuba, and the synergies with Florida and the Tampa Bay area are obvious. With respect to the movement of goods, the long term prospects are positive, but even with free trade, short term growth would be limited by the comparatively low level of economic activity in Cuba. In addition to low economic activity, it may be some time before Cuba can develop a strong enough system of finance and credit to be an internationally significant economic engine. However, there are some products produced in Florida that will find a ready marketplace within an increasingly market-based economy in Cuba, including agricultural products (excluding sugar and citrus), fertilizer, animal feed, building materials and fuel. Cuba’s current major exports include sugar, nickel, tobacco, fish, medical products, citrus, and coffee. Port Tampa Bay has the potential to serve ships that call on Cuba as well as ships that use Cuba as a hub for transshipments from new or improved Cuban ports envisioned to serve as cargo hubs for international trade. Trade with South America has become increasingly important as Brazil continues to lead the continent through a period of economic expansion. Florida already leads all states in the percentage of goods exported from the U.S. to South America, an export market that will likely continue to grow, given the industrial and technological expansion that is taking place in South America. 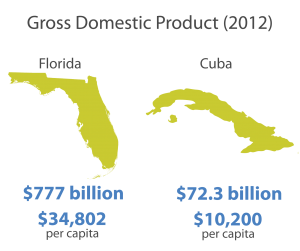 To add perspective, the combined GDP of South America is almost sixty times that of Cuba. In dollar terms, the U.S. is a net exporter to Brazil with a total trade of almost $60 billion, making it the U.S.’s 10th largest trading partner in the world. 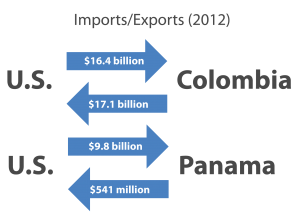 Additionally, two free trade agreements with Colombia and Panama are boosting U.S. trade with Latin American. Both are comprehensive free trade agreements that eliminate most tariffs on U.S. exports, reduce technical and regulatory barriers to trade, and drop the prices consumers in those countries pay for commodities shipped from the U.S. The U.S.-Colombia Free Trade Agreement went into effect May 15, 2012. The Panama-U.S. Trade Promotion Agreement went into effect October 31, 2012. Finally, through the Caribbean Basin Initiative (CBI) and the Dominican Republic-Central America-United States Free Trade Agreement (CAFTA-DR), the U.S. continues to strengthen economic ties with Caribbean and Central American nations. The CBI was initially envisioned as a collection of programs to spur economic development and export diversification in Caribbean countries, but it also brought the ancillary benefit of increased U.S. exports throughout the region. 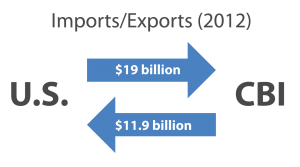 The CBI region was the 19th largest export market for the U.S. in 2012, absorbing 1.4 percent of the nation’s exports to the world with a value of around $19 billion. Meanwhile, CBI countries supplied slightly less than one percent of U.S. imports, valued at $11.9 billion in 2012. Major imports from the CBI region include petroleum and energy related products, textiles, and apparel. The primary U.S. exports include refined petroleum products, aircraft, rice, wheat, chicken, cell phones, and corn.